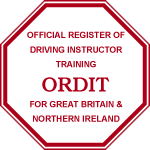 Right Driving School is a member of ORDIT(The Official Register of Driving Instructor Training). This is the government body (Driving Standards Agency) responsible for maintaining training standards within the industry. 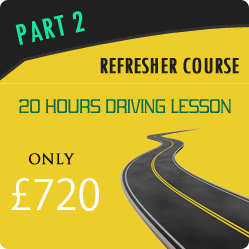 To become a member of ORDIT, Right Driving School instructors passed a vigorous training assessment examining the standard of training we provide. This is an ongoing process giving you further assurance of our commitment to high quality training we spare absolutely no effort on our training. Although everyone who undertakes driving instructor training with Right Driving School is guaranteed a job with us it is not compulsory for them to join. Be your own boss, work the hours you choose and feel a great sense of achievement as each of your pupils pass the driving test. Few jobs offer such flexibility, earnings potential or job satisfaction. If you want to find out more about our instructor training courses give us a call on our phone, lines are open 8am to 8pm 7 days a week. We will arrange an informal meeting, this gives you a chance to meet your potential trainer and ask any questions or concerns you may have. 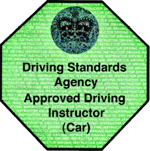 The DSA (Driving Standards Agency) requires that anyone wishing to train as a Driving Instructor is a fit and proper person. The DSA uses the Criminal Records Bureau (CRB) to obtain criminal record checks of people in England and Wales, and Disclosure Scotland for people in Scotland Right Driving School will guide you through this process. You should have no more than five penalty points on your licence, have held it for a total of at least four out of the past six years prior to entering the ADI Register after qualifying, and you have not have been disqualified from driving at any time in the four years prior to being entered in the register. And meet the physical criteria required to safely control a vehicle. You need the drive, desire and determination to succeed we will provide you with the skills, passion and determination to ensure that you succeed. SAME DSA ORDIT REGISTERED TRAINER for part one, two, and part three. One to One training for part one, two, and part three available. Part Time course Tailored around any other commitments you may have. Freedom to choose your own working hours. Job satisfaction from teaching people a skill for life. Fast Track course if speed is an important factor for you then this is the course for you, takes around 8 to 12 weeks to complete. Right driving school also able to provide driving lessons all other surrounding areas if necessary ,East London , Whitechapel, Stepney, Mile End, Bethnal Green, Shoreditch, Bow, Bromley-by-Bow,Park, Clapton, East Ham, Forest Gate, Upton Park, Hackney, Dalston, Homerton, Leyton, Leytonstone, Manor Park, Plaistow, Dagenham, Becontree , Barking, Romford, Chadwell Heath, Little Heath, Essex , Ilford, Gants Hill, Newbury Park, Seven Kings, Redbridge , Barkingside, Poplar , Isle of Dogs, Docklands, Stratford, West Ham, Canning Town, North Woolwich, Walthamstow , Finchley. 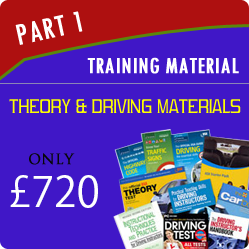 Looking for Intensive Driving Courses, Crash Courses or Driving Lessons and Some of the postcode includes E1, E2, E3, E4, E5, E6, E7, E8, E10, E11, E12, E13, E14, E15, E16, E17, E1W, IG1, IG2, RM1. © Right Driving School, 2012. All rights reserved.